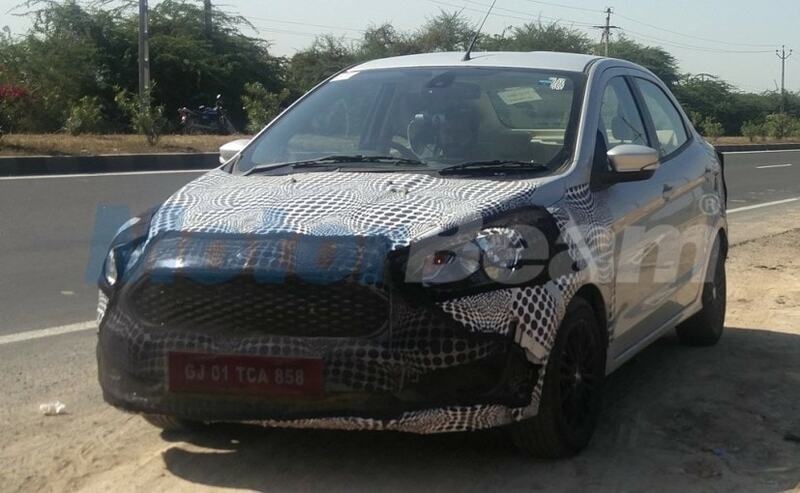 The upcoming Ford Aspire subcompact sedan will come with cosmetic updates like a new grille, revised headlamps, new alloys and more. Ford India is also likely to equip the facelifted Aspire with the new 1.2-litre Dragon series petrol engine. Come August 2018 and the Ford Aspire subcompact sedan will complete three years in the Indian market. Ideally, this is the time when manufacturers start working on a facelift for their cars, and Ford India is no exception either. 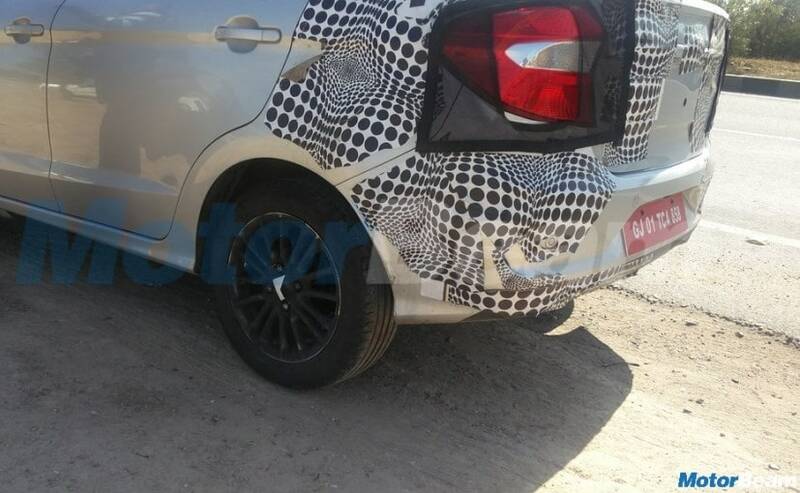 Recently, a prototype model of the Ford Aspire facelift was spotted in India with a whole lot of camouflage but with a few exposed areas that give us a sneak-peek into the new cosmetic updates and styling. 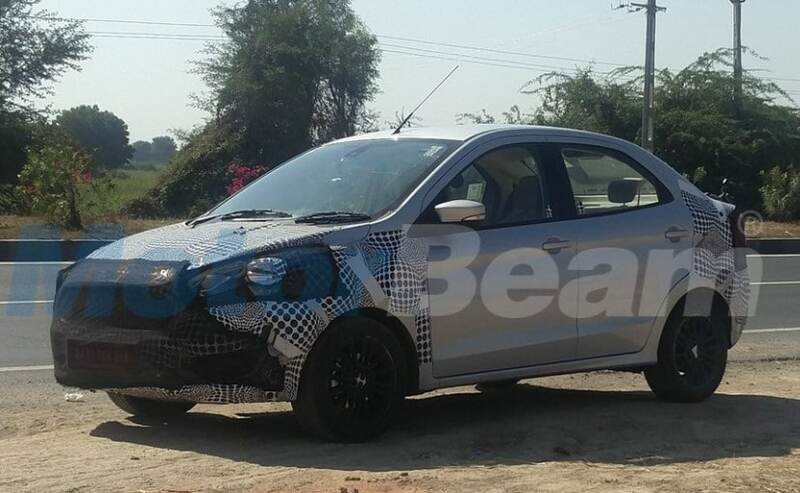 The prototype is said to have been spotted near Ford India's Sanand Plant in Gujarat, where the Aspire is currently manufactured. Visually, we notice that the new Ford Aspire facelift appears to come with a heavily updated face and some new exterior features. The prototype model features a new honeycomb pattern grille instead of the chrome slats, with revised headlamps, possibly featuring LED daytime running lamps, and a new front bumper with large L-shaped cut-outs, most likely for foglamps. The bonnet design looks unchanged and the Ford logo too hasn't moved. From the side, the Ford Aspire facelift appears to remain unchanged with the exception of the new all-black multi-spoke alloy wheels instead of the silver ones on the outgoing model. Most of the rear portion, which is not covered in camouflage, gives an indication that the rear will also largely remain unchanged. But the taillamp design has been slightly tweaked and the rear bumper also seems to have been updated. We do not have a clear view of the cabin in these images, but judging by the level of updates made to the refreshed Ford EcoSport, we expect the car to come with a heavily refreshed interior. Along with revised upholstery and new features, the Aspire facelift is also likely to get a new dashboard and possibly the floating touchscreen display similar to the one seen in the new EcoSport. The system will come equipped with Ford's SYNC3 in-car connectivity system with voice assistance and more. Under the hood, the new Ford Aspire facelift is expected to get the new 1.2-litre three-cylinder Dragon series petrol engine, which makes about 94 bhp and 115 Nm of peak torque. The engine is set to debut in India with the upcoming Figo crossover and Figo facelift. The diesel version will continue to feature the 1.5-litre four-cylinder engine will continue to serve with 99bhp and 200 Nm of peak torque. Transmission duties will be handled by a 5-speed manual gearbox and possibly the 5-speed automatic torque converter, also from the EcoSport.